SEOUL -- As part of its business strategy to become a leading player in the global market through active expansion, South Korea's top biosimilar firm Celltrion unveiled plans to set up a joint venture in China in the first half of this year with an initial investment of 500 billion won ($441 million). "We are negotiating with the Chinese government to have a positive effect on us," Seo said Tuesday at a meeting of shareholders, adding a joint venture would be established in China in the first half. "There is no negative factor in entering the Chinese market because China is taking safety measures to sell its products only in China." For the joint venture in China, Celltrion and its sales and marketing affiliate, Celltrion Healthcare, will fund 60 percent of the initial investment estimated at 500 billion won with a Chinese partner chipping in 40 percent, Seo said. Celltrion's biosimilars include Herzuma, based on Herceptin developed by Genentech, a subsidiary of Swiss pharmaceutical giant Roche. Remsima is a copy of Janssen Biotech's Remicade treating rheumatoid arthritis and Crohn's disease. Truxima, the first biosimilar to Rituxan (rituximab), treats patients with non-Hodgkin's lymphoma, chronic lymphocytic leukemia and rheumatoid arthritis. In December last year, Remsima SC, a subcutaneous injection of Remsima, applied for approval by the European Medicines Agency. Instead of an intravenous injection that takes more than two hours in hospital, patients can inject Remsima SC into the fat layer beneath the skin at home to enhance patient convenience and access to medical care. 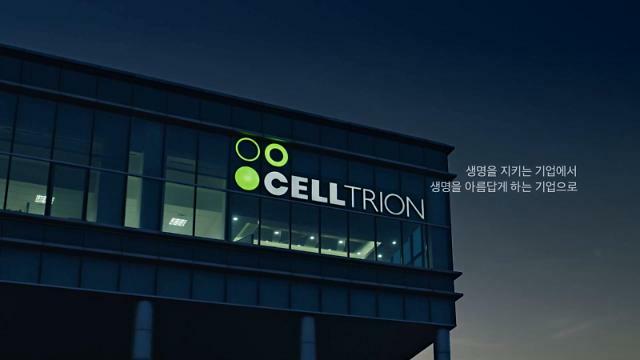 Celltrion aims to achieve five trillion won in sales in 2020 and 30 trillion won in 2017, Seo said, vowing to win U.S. approval for Remsima SC in 2020. He said sales of Remsima SC in other regions would be possible this year and next year.